Bring your collection out of the closet. Display it for your own enjoyment and that of your family and guests. 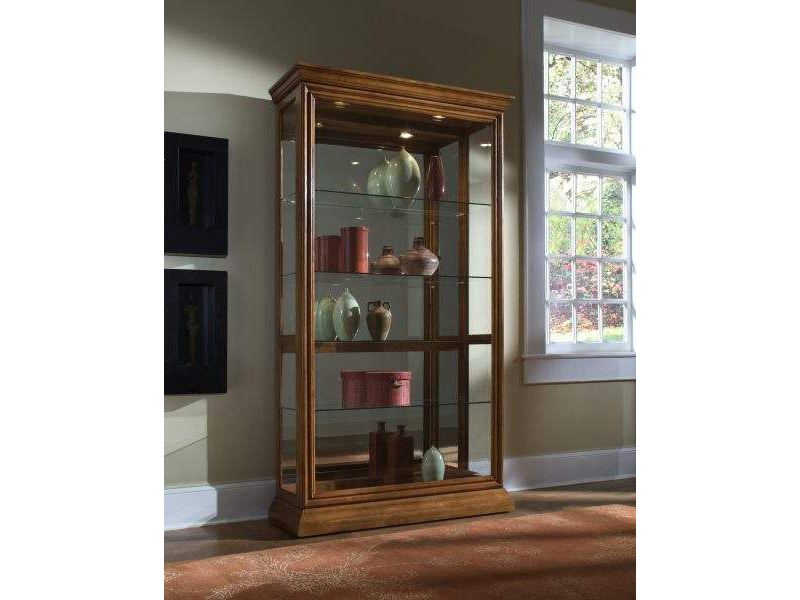 This tall mirror curio is solidly built in select hardwood solids and Veneers. The classic style is enhanced by a modulated Golden Oak finish and stepped moldings. Our Curio has a two-way felt-lined sliding door with lock, so you can easily adjust your display. It features a mirrored back, halogen lighting, adjustable glass shelves, and adjustable glides for leveling.